Sear stew beef on the stove in batches and place in slow cooker. Add the tomatoes, beef broth, onion, potatoes, carrots, pesto, Worcestershire, oregano, salt, and pepper. Cook on low for 6-7 hours. Stir in spinach and rosemary (optional) right before serving. 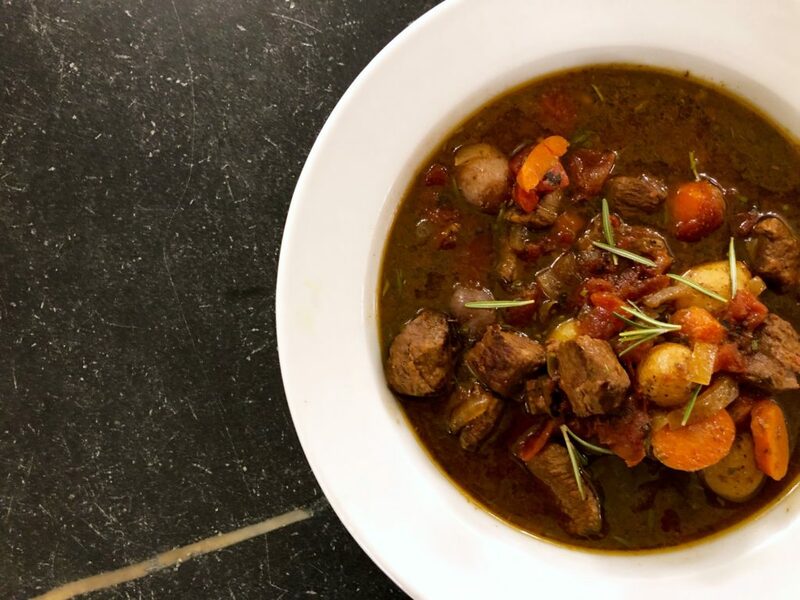 Copyright © 2019 Our Everyday Dinners - This is an easy recipe for how to make Italian Vegetable Beef Soup (Slow Cooker).